Good morning everyone, and happy Friday! This Friday is extra special to all of you shoppers out there, because the Nordstrom Anniversary Sale is finally open to the public! That's right, you no longer have to be a Nordstrom cardmember to shop this sale! For those of you who missed my last post on what the 2018 Nordstrom Anniversary sale is all about, you can check out more info on it and all of my favorite picks HERE. I have also added some more items I came across since I originally posted, so be sure to check it out. 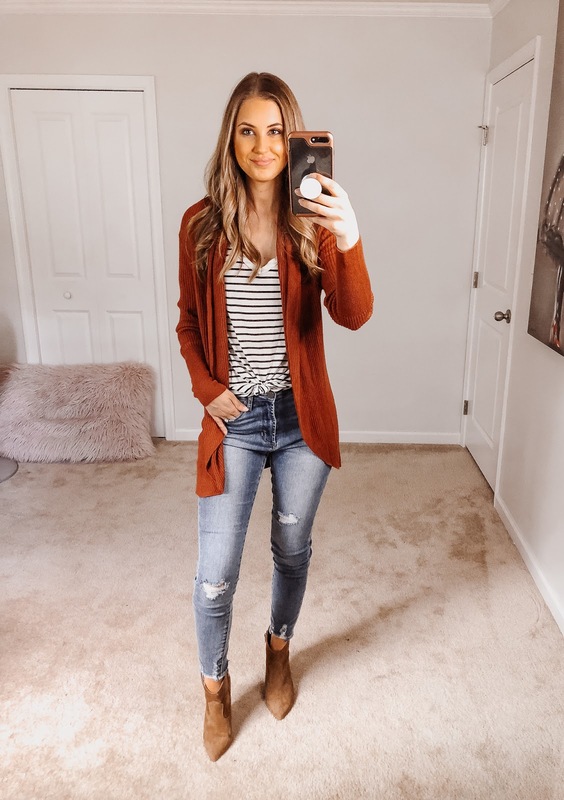 Today, I am going to do a little try-on with the items that I bought from my Nordstrom haul with multiple ways of styling them for fall. 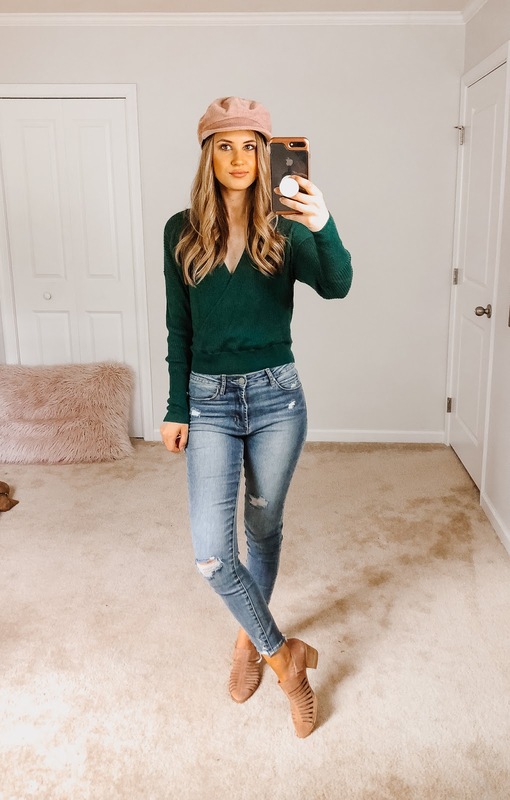 I love how versatile all of these items are, and there are definitely more ways of styling each of these items, but I figured ten mirror selfies would be enough - hehe! I also want to point out that there are mixed reviews about all of these items on the Nordstrom website, and I will definitely be giving you my honest opinions about the quality of all of these items. A lot of people seem to have complaints about sizing, so I will also tell you whether something runs larger or smaller than usual. Without further ado, let's take a look at some cute clothes! This has to be my favorite outfit out of the bunch. Pink has always been my favorite color, so I naturally gravitated towards these pieces! Long Open Front Cardi - This chunky pink cardi is a must in my opinion! It is definitely oversized, so be sure to size down when ordering this one. Even though I was inside, I got quite warm while wearing this, so it would be perfect for someone living in a cooler region, or it would be nice for the winter for those of us living in the Carolinas! Ruched Ribbed Body-Con Dress - This dress is seriously so flattering! I am always a bit nervous about figure hugging dresses, especially when they are more of a t-shirt material, but the ruching across the stomach area makes it so flattering! I would say this item is true to size, or you can size up if you want a little more wiggle room. You can go ahead and wear this piece during the summer and then layer it up with cardis for fall. It would look cute with any of the cardis I bought from this haul (see below). Blush Booties - I love these blush booties! They are so comfortable and a perfect everyday shoe because of the low heel. I saw a review online that said these were oversized, but I got my usual 7.5 shoe size and they fit perfectly. Same cardi, different outfit! I love this outfit for an everyday look! Thermal Henley Top - This thermal top does not feel like your typical thermal - it is so much softer! I wasn't expecting it to feel this cozy, so I will definitely be buying this in more colors! High Waist Distressed Skinny Jeans - I LOVE these jeans! High waisted jeans are a must for me with my long torso, and these are so comfortable and flattering. I found these to be true to size! Suede Booties - These suede booties are so cute and go with everything! They are the perfect brown shade and are perfect for fall! Ribbed Shawl Cocoon Sweater - This is my favorite cardi out of the bunch for comfort! It is so SOFT! Definitely size down in this one though - they are made quite large! 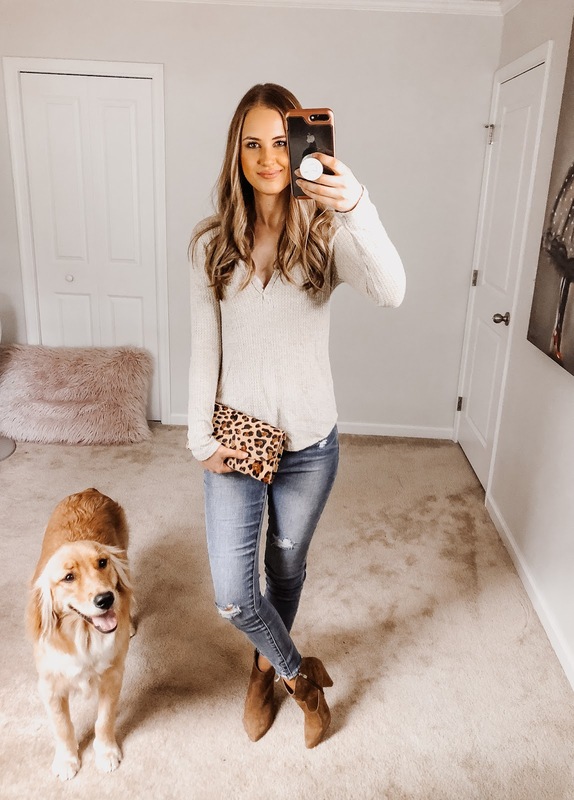 Leopard Print Clutch - Leopard print is the thing for fall, and this clutch is an easy way to add the print into your fall wardrobe! I love this colorblocked sweater for fall! It looks so cute with a mini skirt or your favorite pair of jeans! Mock Neck Colorblock Sweater - I love the colorblock look, as well as these colors for fall! This item is true to size and fits perfectly! Black Denim Miniskirt - This black denim miniskirt has some stretch, which makes it both flattering and comfortable! It is true to size and fits like a glove! Wrap Sweater - I love to wear this emerald green color during the fall and winter, so when I saw this wrap sweater I knew it was a must! I would size down in this one unless you need extra room for the girls! Same sweater, yet another outfit! 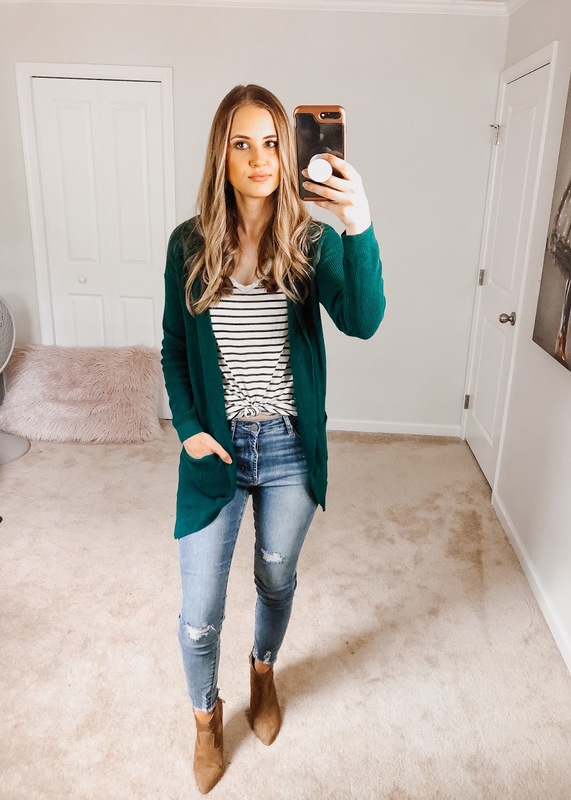 The comfiest cardi with a striped tee! Raw Edge V-Neck Tee - The perfect tee is a wardrobe staple! They are oversized, so be sure to size down on this one! Curve Hem Cardigan - This cardigan isn't as soft as the other one, but I am in love with this color! Size down in this one, because they are certainly oversized! I hope you all enjoyed some of these looks I created for fall from the 2018 Nordstrom Anniversary sale! As you can see, it is so easy to create several outfits with just a few basics, so there is no need to buy an entire new wardrobe every season (unless you just want to :)). A lot of these items keep going out of stock, but keep your eyes open because they keep coming back in stock too! I hope you all have a lovely weekend! Killing it in this outfit! The last two sweaters are my fave because they look so comfy!